How is design perceived as a tool for problem solving by the larger population? 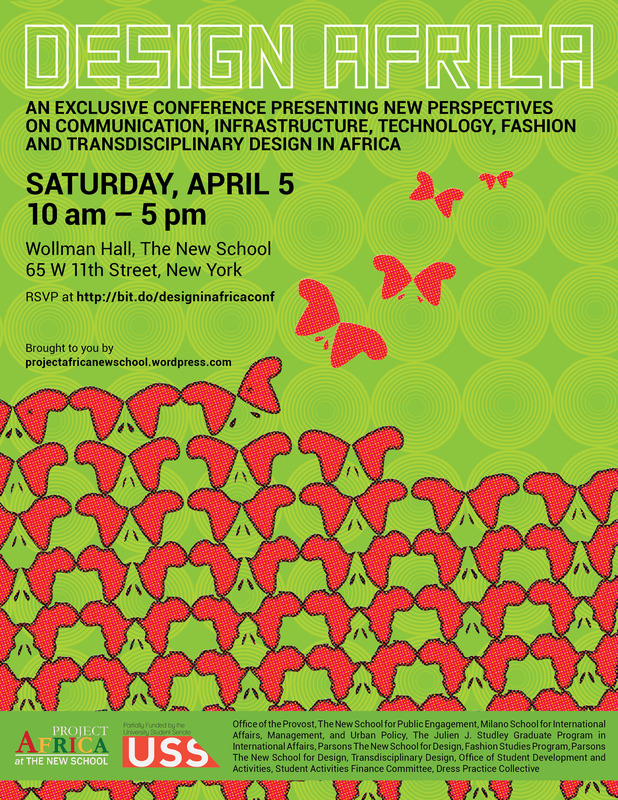 What role does design play in Africa, in promoting critical thinking and awareness about scalar systemic change? What messages are being pushed across the continent by African designers? How can different forms of design be combined to catalyze system change in Africa? Are designers in the diaspora participating in innovation processes and capacity building? How are initiatives like Design Indaba in Africa or diaspora design organizations influencing developmental interventions? This is sure to be a dynamic program that will appeal to many, from a broad array of sectors. Visit Eventbrite to register today! This conference is free and open to the public. One registration per person please. If possible, I’d love to attend the conference. I am an teacher at The Dalton school and I consult for the kibera school for girls. This conference would enrich my perspective and my work. Please let me know if there is space for me to attend. Thank you for your interest, Molly. Just visit our Eventbrite page to register today: bit.do/designinafricaconf.